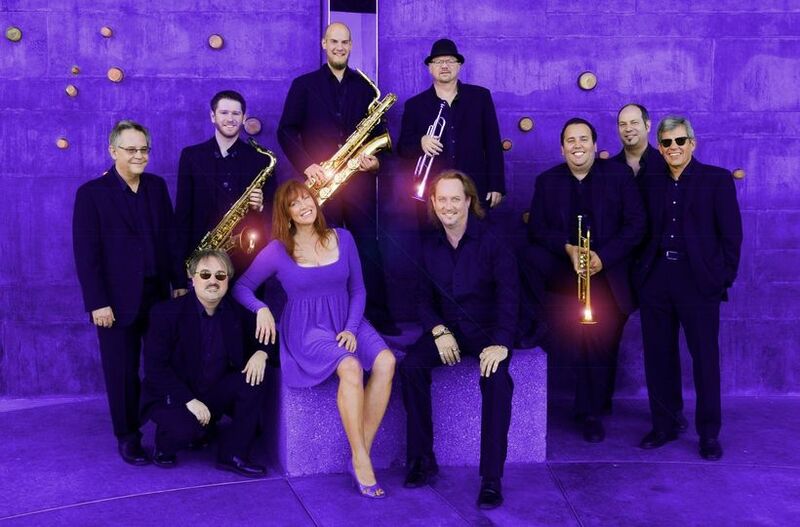 Groove Merchants is a high-energy, experienced, 10-piece wedding and event band based in Phoenix, Arizona. Let these enthusiastic musicians entertain your guests with their signature horn section, vocals and “in the pocket” rhythm section that brings big events to another level. A commanding stage presence will get your guests engaged, out of their chairs and onto the dance floor. Their well-known Phoenix musicians are some of the top professionals in the industry. Groove Merchants can play everything from top 40 hits to Motown to classic rock and are thrilled to set the mood through their music throughout the night. They have played celebrity weddings and would love to be a part of your special day. THE BEST BAND EVER! They worked with us to get the correct number of band members for my reception and even learned new, awesome songs for the event! The band got everyone out on the dance floor and even brought sunglasses for the guests to wear while they were playing "soul" music, they were a blast!